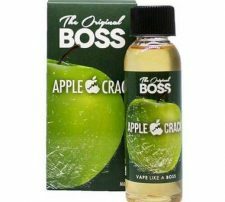 Dat Juice is now available in 60mL unicorn bottles for just $24.99 and is available in 0, 3, & 6 mg of nicotine! 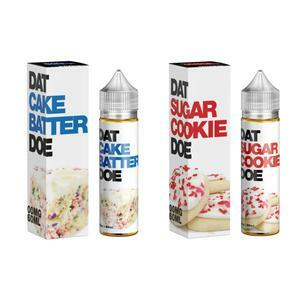 Dat Juice by North Shore Vapor has certainly been a big hit at our stores with their classic Dat Cake Batter Doe and their new feature, Dat Sugar Cookie Doe. These two desert flavors are the perfect sweet treat that been waiting to vape. Dat Cake Batter Doe is a rich confetti cake layered with sweet frosting. With this flavor you can celebrate everyday like it’s your birthday. Dat Sugar Cookie is a sweet sugar cookie topped with a sweet fondant just like the packaged sugar cookies you’d find at the grocery store.